I personally read some of that material, right off Transport Canada's Website, to Mr Martin Eley, Transport Canada's Director of Civil Aviation, during a meeting we had with him and all ALPA MECs in Ottawa a few months ago. His reply and I quote : " You musn't believe everything you read on the internet"
There were about 20 ALPA witnesses in the room who all heard his reply yet still voted against my motion that we challenge Transport Canada on the legality of FLVCs for Part VII revenue flights in Canada. Pretty frustrating to hear that from ALPA, I though they were correct. Transport Canada are just legislators, I guess that text was written under certain given directives. Sounds pretty clear to me. It is funny you will never have them write what they say at Transport Canada, because they know they could have lawsuits. What's higher than a director of civil aviation? I know that low level don't always reflect what is in high levels. Director sounds big no? Sounds like the ministre little doggy boy. Last edited by Legacy14 on Thu Feb 18, 2016 10:05 pm, edited 1 time in total. Jessica Gares is the producer, Mike Smith covering for Bill Good on the show tomorrow. Last edited by Gilles Hudicourt on Mon May 05, 2014 10:20 pm, edited 1 time in total. Employers must advertise available positions in Canada for at least 4 consecutive weeks (it used to be 14 days) before applying for an LMO. This 4 week requirement applies to all advertising methods. 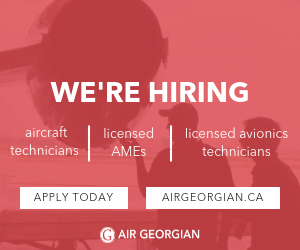 - The position must be posted on the national Job Bank or its provincial/territorial counterpart for positions located in British Columbia, Saskatchewan, the Northwest Territories, Quebec or Newfoundland and Labrador. Prior to this, employers did not have to post managerial or professional positions (NOC 0 and A) on the Job Bank or provincial equivalent. However, the Guidelines posted on Service Canada’s website also state that “Employers recruiting higher-skilled workers, in areas where the use of the Job Bank or its provincial/territorial counterparts is not considered an effective method of recruitment, must provide a written explanation of the alternative method used with their LMO application”. This suggests that for some senior positions, employers may not have to use the Job Bank, if a strong rationale for not doing so can be provided. However, it is unclear how this will be interpreted by reviewing officers. - Employers must advertise using at least 2 or more additional methods of recruitment (in addition to the Job Bank/provincial equivalent listing) consistent with the normal practice for the occupation. At a minimum, one of those additional methods must be national in scope. This can include general employment websites or specialized websites focusing on a particular occupation or industry. The guidelines set out some examples. - The required content of job advertisements has been expanded. For example, employers must now include wage information for NOC 0 and A positions, whereas before the changes this was only required to be in job listings for NOC B and low skill positions. The name of the employer must also appear on job listings. - Employers must continue to advertise the available position and actively seek qualified Canadians and permanent residents until the date they receive notification that an LMO has been issued. Employers will need to be able to demonstrate ongoing efforts during the time the LMO application is being processed at Service Canada. So Canadian helicopter pilots, you must wisen-up. If you see advertisements for helicopter positions that seem to closely match these ESDC requirements, chances are that they are not really ads meant to try to hire you but quite the contrary: they are published just to fulfill the ESDC requirements for applying for an Temporary Foreign Worker in order to EXCLUDE YOU and hire the Temporary Foreign Worker Helicopter pilot in your stead. The ads are merely there to show to ESDC that the employer made the effort to look for a Canadian Helicopter Pilot. When you send your CV and it goes straight to the shredder, EDSC has no way of discovering this. Chances are that by the time the Canadian employer is publishing his required help wanted ads in Canada, that he has already located, hired and contracted the foreign pilot that he intends to hire instead of you. The only way for you to stop this is to stand up for your jobs and let EDSC know that you are there, that you are qualified for the job and and that you applied for it and were by passed in favor of a TFW pilot. Also, government regulations require that before a Canadian employer hire a TFW, he must make reasonable efforts to hire OR TRAIN Canadians. Stand up for your jobs...........no else will do it for you. Kudos to Bill and Gilles for your comments on the Bill Good show. I have been in the industry for well over 30 years and to be honest, am probably making less money (inflation and whatnot taken into account) than I was 5 years after I started. In those days, the problem was Viet Nam pilots from the states taking many of the jobs as the industry was relatively young and few commercial pilots had the opportunity to become endorsed on medium or heavy helicopters because there were so few around. The government had a program to help the operators financially to give an endorsement or specialty training. Why can that not be done these days. Just as an aside, I have never paid for or signed a contract for an endorsement in my life, and I am endorsed on a dozen plus helicopters, unlike these days where you have to hand over your first child to get an endorsement. Guess what operators, you may actually have to train or endorse someone - it is the cost of doing business, just like hotel rooms and jet fuel. And then you charge the customer a rate that enables you to do so, not beat up on the pilot who is just trying to make ends meet. The standard whine from the operators is that the minimums required by the customers won't allow them to use low time pilots, even if the pilot is high time but has few hours on type. Trust me, basically, all helicopters we use in Canada work more or less the same way and it is simply systems and limits that you have to learn, and not how to fly. If an operator wants to work for the likes of an oil company with a 5000 hour minimum pilot requirement, then you better make sure you have pilots that meets those requirements knowing full well that if you want that kind of experience, you are going to pay for it AND SO SHOULD THE CUSTOMER. Even the provincial forestry people have these minimums and we all know that fighting fires, except maybe in some parts of BC, is about as basic as it gets. It is amazing how quickly those minimums go out the window when after a very busy fire season with pilots timexing and no pilots are available. And do you really think that a major oil company would stop their exploration in Canada because there were no pilots available that met their minimum requirements. You either accept that you may not get the pilot you want, be prepared to pay more for that experience, or get the hell out of the country. I am hoping that helicopter pilots are finally starting to realize that HAC is not your friend and that they are working for the operator and no one else. To read their website, the most important issue affecting the industry is flight/duty times being dropped from a 14 hour duty day for 56 days straight before you require 5 days off, bearing in mind that travel time is considered time off. Any idea how long it takes to go from Baffin Island or somewhere quite a bit closer, to the west coast and back. Enjoy your time off at the boarding gate. If pilots get uppity and balk, no problem, we will just bring in an Aussie or Kiwi, they won't complain and as long as their logbook shows the required time, no need to check it out. I was crying for a union, or some kind of association, after one year of flying. I could not believe how we were treated then and still cannot, given the responsibilities we have. To read the forum on Vertical, one would think the entire industry is against it. Funny how many of those posting are management or foreign workers, but fail to mention that in their posts. Perhaps an association could at least educate the public on some of the issues we face. The general public thinks we all make a ton of money and live the life of Riley. Aircrews know better. Justin Tredeau just got up in the House Of Commons and asked Harper why they had not repaired the foreign workers program when they had been told that Foreign Pilots had been driving down the wages for Canadian Pilots. maury wrote: do you really think that a major oil company would stop their exploration in Canada because there were no pilots available that met their minimum requirements. You either accept that you may not get the pilot you want, be prepared to pay more for that experience, or get the hell out of the country. The operators would have you believe that with the minimums companies are requesting, and without hiring a foreign pilot that the work simply won't be able to get completed. None of us (the pilots) are that naive. The work always gets completed. Unfortunately the operators have sold that lie to the government. Those Adds are all over Kijiji. ( not aviation specific ) I followed up on a couple to see where they went - no job there at all. They were not responding, and no accountability through government to whom I sent all of the evidence. They were advertising for employers to fill the requirements prior to bringing in Foreign Workers. There are two sides to this. People wanting live in care givers, etc., and cannot find anyone to work for wages they can afford today. And Scamming Employers wanting cheaper employees for more profit. There are always employees willing to work for the right wages, e.g. : livable wages. It is no more an aviation specific issue than a French/English issue. Ok... here is an indexed copy of the 2013 LMO file, with several hundred pages of older applications removed. It is only current to the date of Gille's original 2013 ATIP request - once the new ATIP request is received the remainder of the 2013 LMO's will be added and 2012 removed to that document which is presently being indexed. Any Adobe Reader should be able to access the bookmarks, by clicking on the blue ribbon. Helicopter operators are bold/red. Many LMO applications are for more than one pilot. Check it out, and be prepared to be astounded by some of the applications! of 4300 members of United Food and Commercial Workers (UFCW) Local 1118, 2500 of 4300 members are temporary foreign workers who have or are becoming permanent residents. They say hundreds of thousands of foreign workers are brought to Canada. raised in Red Deer I know there are people there who want those jobs, and even Brooks. The government while putting a hold on the program, is also bragging about it's effectiveness. Immigration isn't a problem, we need the gene flow, but let them come and look for a job just like all Canadians. Not with a job given to them, apparently for life. The number of Pilot Applications pale when compared to Total numbers. Aviation employers just don't want to get left off the gravy train. Thanks Gilles you are doing a wonderfull job. At my company a Kiwi called looking for work. He met a girl and started a family and is now a landed immigrant.He said he wanted a good schedule now that he has a family here. I thought to myself you pricks are the ones who screwed the industry with your work when ever for what ever attitude. Needless to say I had a word with the powers that be and he didn't get the job. I encourage all pilots to do the same. Their mentality is ruining our industry and scrupulous owners like they ones we all know about are not going to stop taking advantage of it unless we as pilots act united. Write your minister and send it to the opposition party this has to stop. Also more than anything else get out and vote in the next election the Conservatives are giving our country away. Ok but let's target the employers that use TFW and government policy that gives our jobs to TFW pilots. Targeting individual foreign pilots, especially landed immigrants is not a good idea. This can quickly degenerate into something unfortunate. Gilles Hudicourt wrote: Ok but let's target the employers that use TFW and government policy that gives our jobs to TFW pilots. Targeting individual foreign pilots, especially landed immigrants is not a good idea. This can quickly degenerate into something unfortunate. Freck, did it ever cross your egocentric pea sized brain there may also be Canadians flying Helicopter in NZ???? Last edited by Gilles Hudicourt on Mon May 19, 2014 3:34 pm, edited 1 time in total. PointyEnfine, you mean Canadian Helicopter pilots flying as TFW in NZ? If you know as fact that there are some please go ahead at state it with name of company etc.. If not, well there probably aren't any in the numbers that they come to Canada. Last edited by Gilles Hudicourt on Mon May 19, 2014 3:36 pm, edited 2 times in total. He was not talking about TFW, this person had landed status. As to the numbers, or status of Canadians Flying in NZ I wouldn't have the foggiest. I know of a few guys who have flown in PNG and Australia also. To the best of my knowledge there is no comparable loop hole to the TFW program for people to flood in and work down there. In all honesty, I can't see why it exists. In NZ they put skills on a skills shortage list, a VISA may be granted IF they gov't deems the company and the individual meet a range of criteria (I believe this may be comparable to a LMO method?). Air NZ recently tried to get the ability to bring in non-landed employees and were promptly stepped on by the government. And this is the way it should be here, but in Canada the Industry dictates and does what it wants with absolutely no government oversight. Even when the companies are caught red handed cheating the government regulations here in Canada there are no consequences, not even a halt to the program they cheating on. Thats right moron it did enter my pea size brain that you retards come up here and work for nothing and take bad tours in turn ruining our industry! I'm sure any Canadian working down under is doing it for good money and good rotations. Actually I know they are. You are an idiot! This is why I won't hire these morons Gilles citizen or not they are idiots! Freck,I can only assume you have had serious issues finding a job (judging from your positive outlook in other posts as well). Correct me if I'm wrong. No problem finding work at all. My problem is the companies that are abusing the TFW program are undercutting the good companies and the root of the problem is the Kiwi and Aussie pilots working for nothing. So yeah it is strictly kiwis and Aussies screwing up our industry. We don't want you here period. Problem solved, he seems like he wants to immigrate, I see no reason why he should not compete for Canadian Jobs. It's only TFW's that I have a problem with. If you've been here for long enough to get landed immigrant and pay taxes then you should be allowed to apply to whatever job you want. Freck wrote: you retards come up here and work for nothing and take bad tours in turn ruining our industry! I happen to know a Kiwi pilot who was relatively low time when he got here and made a bloody fortune considering his experience. How is your example any different then Canadian low time pilots doing the same thing? This seems like a reasonable system to me. Jesus you guys just don't get it. I bet your Kiwi buddy had a 2 and 2 shift as well. More like 2 on and 2 on. You guys see only short term gain never the big picture. You are the most slimey snakes in the grass I've ever worked alongside with your me me I attitudes. I don't care if you have been citizens for 20 years you started out screwing a Canadian over at one time or another. Now that you've done what it takes to get where you wanted you want a fair schedule and pay??!! Yeah I'll file your CV in the recycling bin. At least it gives me some comfort in doing my part to weed out the cancer that is you.